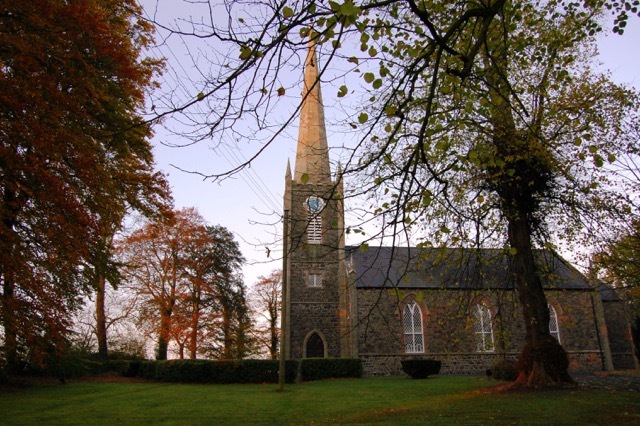 Ballinderry is derived from Baile an Doire – the town of the oak wood. The Middle Church served as the parish church until the present church was built in 1824, (the date on the tower), during the incumbency of the Rev James Stannus. It cost £2,200 to build. The Marquis of Hertford gave £1,000, and the late Board of First Fruits, the remainder in the form of a loan. 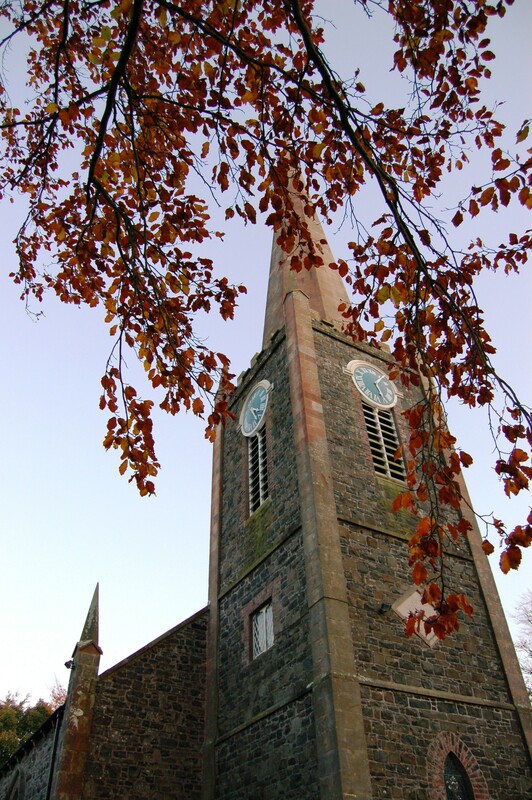 It is built in the later English style of architecture, with a tower and spire 128 feet high. A chancel and vestry were added later. 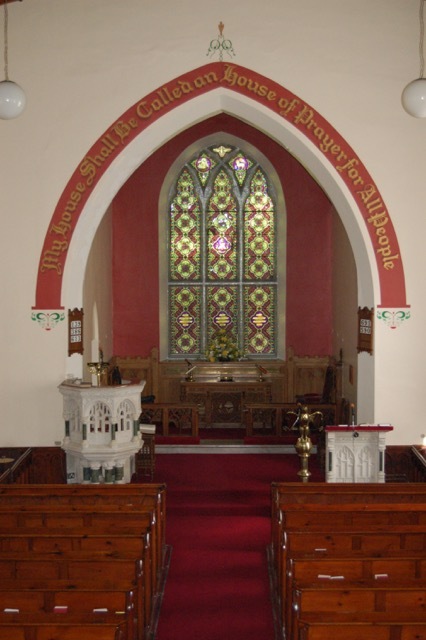 The stained glass window was erected in 1862 by Thomas Walkington of Oatland Cottage, Ballinderry, in remembrance of his father and mother and in pious memory of his ancestor Edward Walkington, Bishop of Down and Connor in 1695. At the front of the gallery is a large painting of the royal coat of arms of Charles II, which was brought from the Middle Church in 1859 and may have originally hung at Portmore Castle in the 17th century. There were at least two other churches within the parish boundaries, one at Templecormac and the other at Moygariff, but they fell into decay.